Update December 2018: sorry but the videos this blog post is about are no longer available. 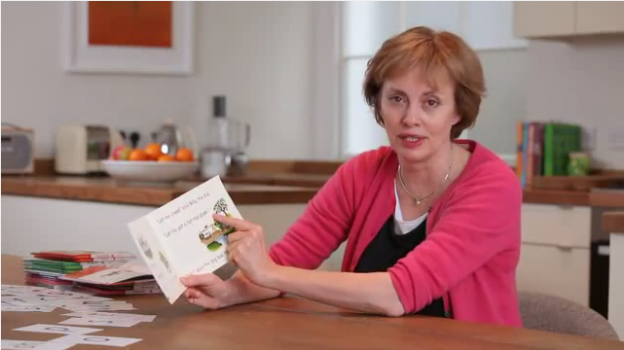 You can find Ruth Miskin’s current videos for parents here. OMG it’s the end of the term 3 holidays and I had planned to write a blog for parents of children starting school in 2017, as a kind of antidote to any well-meaning but incorrect advice to encourage children to guess written words from pictures, first letters and context rather than sounding them out. Of course Miskin is promoting her own programs and resources in these videos, but the very sensible and evidence-based main ideas can be applied using many other explicit, synthetic phonics programs and materials. Miskin has a stack of other videos for parents here, but right now I don’t have time to watch them all, I’d be interested to hear what others think of them. Lots of useful stuff, I imagine. Experienced and extremely nice Melbourne teacher Liz Chapman (who never blows her own trumpet so I like to occasionally blow it for her) was running very affordable Read Write Inc training earlier this year. More details and her contacts are on this flyer, if anyone wants to nag her to run some more. I’ll embed links to all 10 Ruth Miskin Top Tips for Parents videos below, so they are easy to navigate and revisit and share without getting lost on YouTube. I think the video about how to say sounds she refers to is this one, or try Get Reading Right’s Phoneme Pronunciation page (make sure you scroll down, there is more than just the video). This entry was posted in blending and segmenting, curricula, phonics activities, sound-letter links, sounds, teaching strategies on October 2, 2016 by alison. ReadWrite Inc. was the first synthetic phonics programme that I learnt to teach when I was training initially to be a teacher in the UK. The advice is great for parents, but even more relevant for teachers. Most teachers in Australia do not graduate from Uni with this level of knowledge in how to teach reading. No wonder Australia’s literacy levels are so low. Can we please rename the post ‘Ruth Miskin’s Top Tips For Teachers’ and get it out to all of Australia’s teachers and student teachers. You are incredibly generous with the info you make available for us. Was trying to check out these Ruth Miskin videos for parents but they are all saying unavailable. Is it possible that they all have to be purchased now? Followed your link for her other videos but couldn’t get these either.